On Tuesday morning, the New York City Housing Authority (NYCHA) broke ground on the first of several FEMA-funded renovations to Red Hook Houses, devastated by Hurricane Sandy five years ago. The first step is a total replacement of the roofs, with completion projected for the end of 2021. 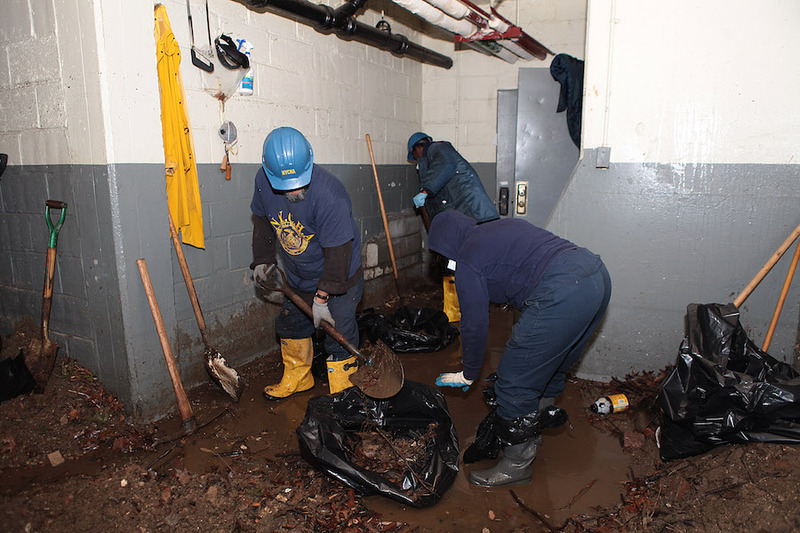 NYCHA’s entire resilience plan for the Houses, including commissions from KPF, OLIN, and Arup, also includes sidewalk resurfacing; generator installation; utilities and hardware restoration; rebuilt playgrounds; and flood-proofing basements. There are also new sustainability measures incorporated by the firms: rooftop solar panels, raised “utility pods” providing heat and electricity as well as public green space, a raised “lily pad” flood barrier system, and more. Meanwhile, Brown called out New York State Assembly Member Felix Ortiz, whose district includes the development, for helping tenants with immediate practical concerns like replacing fridges and stoves in apartments severely impacted by the storm. As the nation watches superstorms like Harvey and now Irma impact our coastal cities, U.S. Congresswoman Nydia Velazquez remarked at the groundbreaking that it’s more important than ever to ensure that “the rebuilding we do is built to last”—even if its implementation begins five years on.